1. What are the oldest parts of Laurentia?2. 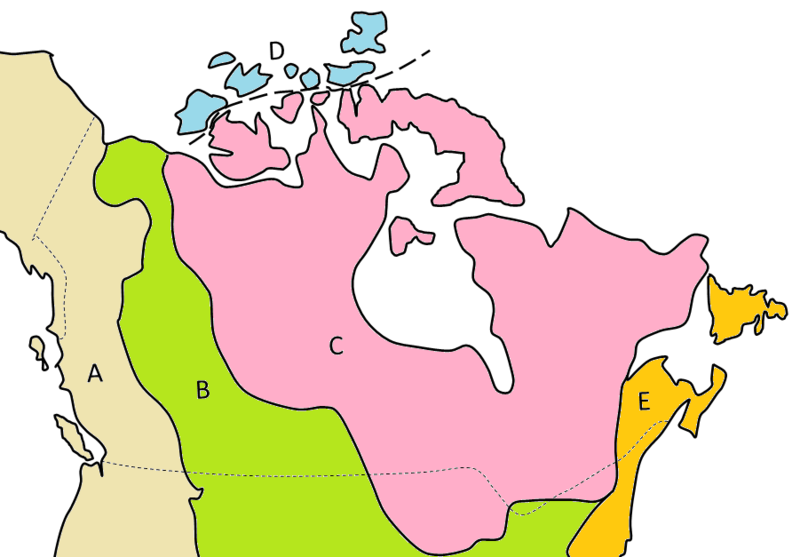 The five main geological regions of Canada are shown on this map. Name the regions A through E.
Chapter 21 Summary by Steven Earle is licensed under a Creative Commons Attribution 4.0 International License, except where otherwise noted.